← Marketing Tip 14: Ask for referrals – if you don’t ask, you don’t get! 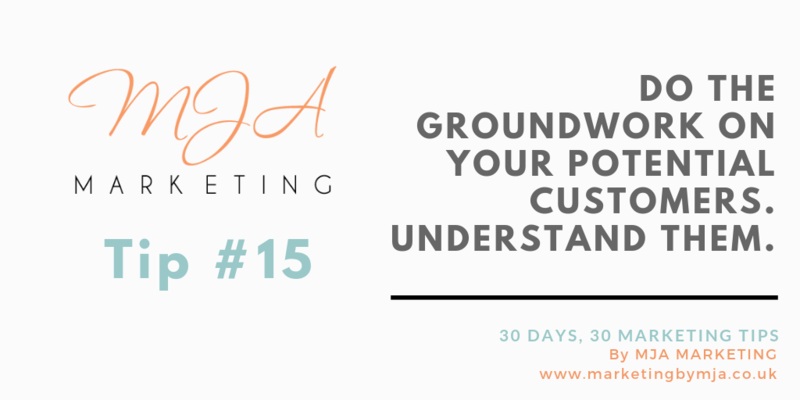 Marketing Tip 15: Do the groundwork on your potential customers. Understand them. This entry was posted in 30 days, 30 marketing tips, Customer Service / Customer Retention. Bookmark the permalink.